Looking for an effective way to slow down traffic? 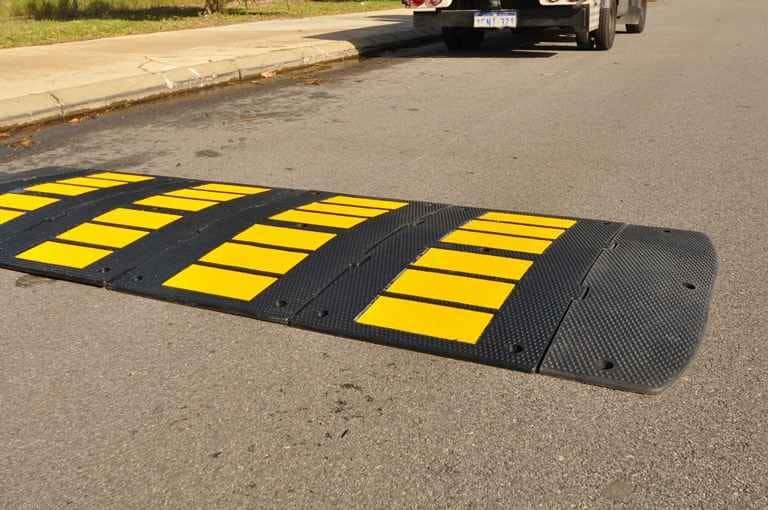 Will slow traffic to approximately 15kph without the sudden jolt of a traditional speed hump. 3 times wider than standard speed humps. 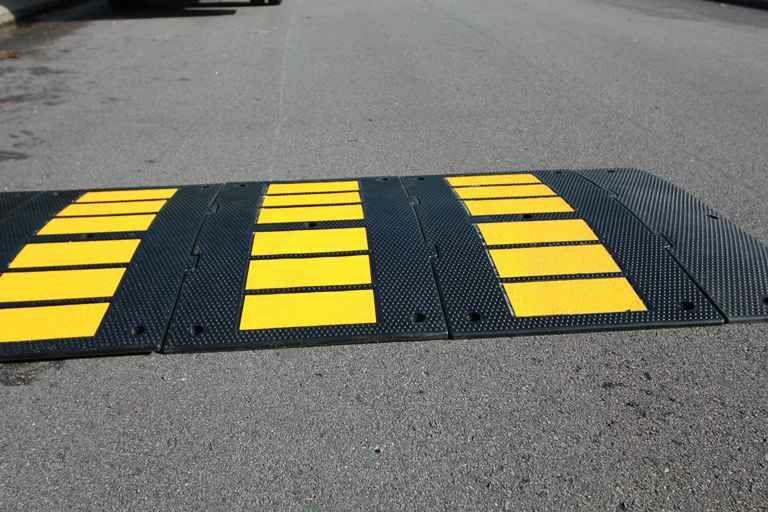 Safety yellow anti slip insert panels increase visibility and improve pedestrian safety. 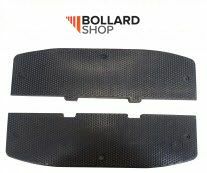 Smooth approach and departure angles mean a wider range of vehicles can pass over them. Convenient modular system, allowing them to be arranged to suit your requirements. 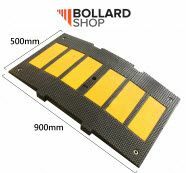 Ideal for Shopping Centre’s, Lane ways, Residential units, Flats, Airports, Hospitals, Schools, Wharfs, Council areas, Mine sites, Train stations.